I apologize for the late post, I tried to create a video tutorial for this card but I was not quite satisfied with the quality of the video lighting so I had to scratch that out. This vibrant but quick and easy card was created using the Pretty Petals Flair stamp set from Close To My Heart. I posted a card on my Facebook page a few weeks ago using this same stamp set and stamping technique. A - 4" X 5.25"
B - 3.75" X 5"
C - Teal Shimmer Trim X 2 cut at 3.75"
D - .50" X 3.75"
Using the back of the flower stamp and the lagoon ink pad, add ink and stamp off on a piece of scratch paper (Second Generation Stamping Technique) then stamp on layer B (3.75" X 5" White Daisy Card Stock). Using the chocolate ink pad stamp the circle bud on the center of the flower. Repeat process until desired pattern is completed. 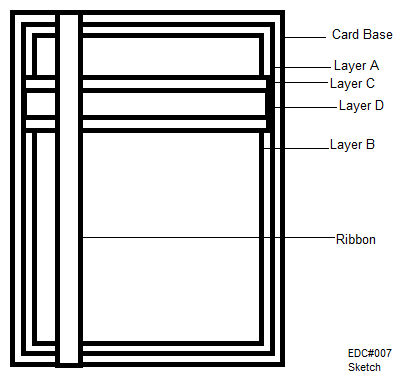 Adhere layer B on top of layer A using a tape runner or liquid crystal. Add layer C (Teal Shimmer Trim) 1" towards the top of layer B. 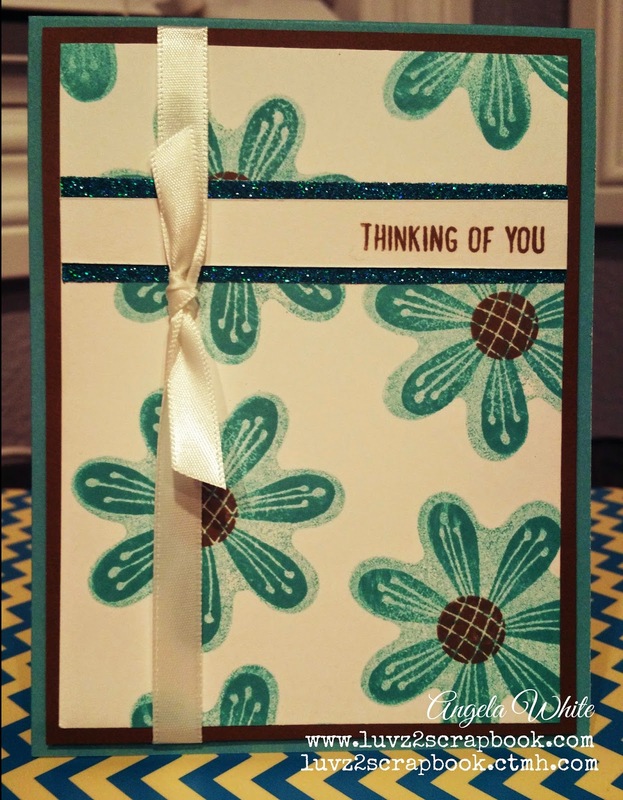 Stamp the "Thinking of You" sentiment using Chocolate Ink Pad on layer D, add 3-D foam tape and adhere on top of layer C.
Add Satin ribbon 1/2" from the left edge of layer B. Adhere to card base using 3-D foam tape. For the card inside, use White Daisy card stock and cut at 4" X 5.25", use a sponge and Lagoon ink pad to sponge the edges. Using the same process in step #2 stamp only the bottom right hand corner of the card stock. Adhere to the center of the inside of the card.